The first-ever BMW 6 Series Gran Turismo has rolled-out of BMW Group Plant Chennai today. BMW Group Plant Chennai is proud to roll-out the first-ever BMW 6 Series Gran Turismo in India. The BMW 6 Series Gran Turismo is not only a unique concept but also makes a significant mark through its advanced engineering, technology and innovations. Now locally-produced in India, it will create a novel segment and set new benchmarks in the Indian luxury car segment. As always, BMW Group Plant Chennai is committed to deliver the best-in-class products for discerning customers who value the highest level of quality in every detail. 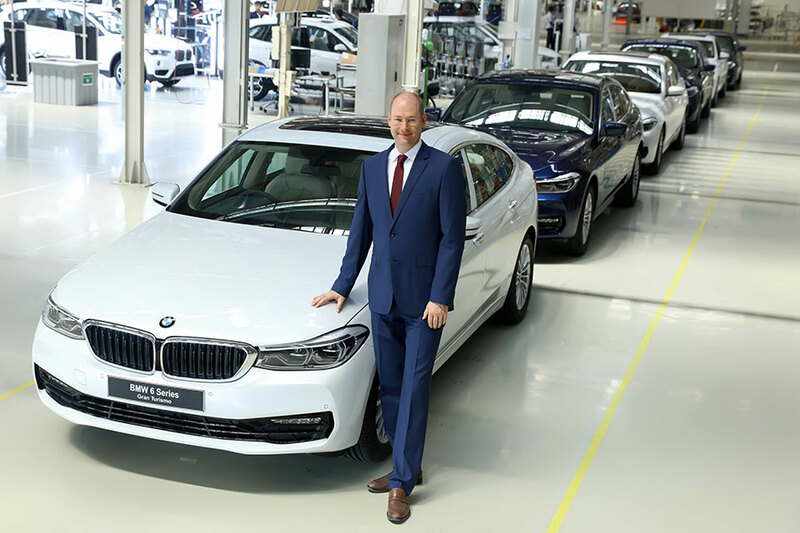 BMW Group Plant Chennai locally produces the BMW 3 Series, the BMW 3 Series Gran Turismo, the BMW 5 Series, the BMW 6 Series Gran Turismo, the BMW 7 Series, the BMW X1, the BMW X3 and the BMW X5. BMW Plant Chennai will start the local production of MINI Countryman in 2018. Following the approach ‘Production follows the market’, BMW Group India has systematically accelerated its localization program in India. It has already strengthened its long-term commitment to the Indian market by increasing the level of localization at BMW Group Plant Chennai up to 50 percent. Recently launched at Auto Expo 2018, the first-ever BMW 6 Series Gran Turismo has been rolled-out in a locally-produced petrol variant, the BMW 630i Gran Turismo Sport Line. The diesel variant will be launched later in 2018. The first-ever BMW 6 Series Gran Turismo has the distinction of being the founder of its genre. It is a unique concept combining luxurious spaciousness, long distance comfort of a luxury sedan and modern functionality in an alluring coupé style. It combines an exceptionally spacious interior with maximum comfort, without compromising on the trademark driving pleasure.